My first hero in life was George Washington. In third grade I wrote a book report about him and focused on his astounding leadership-by-example skills, which inspire me to this day. I was also uplifted by his unshakeable moral character, his physical prowess, and his business acumen. Images of him crossing the Delaware, withstanding the winter at Valley Forge, shocking the world at Yorktown, being sworn in as America’s first president at Federal Hall in my very own New York City, and giving his famous Farewell speech—all caused me to gaze in reverence whenever I saw a bridge, park, neighborhood, statue, or painting that bore his name. In modern business terms Washington was the CEO of two startups: the Continental Army and the American government. For these reasons he is the greatest leader in world history. He was and always will be the father of our country. About a decade after discovering Washington, Thomas Jefferson leapfrogged to the top of my list of founding heroes. From his writings about “life, liberty and the pursuit of happiness” to his admonition that we “fix reason firmly in her seat,” his flowing prose went straight to my soul. But some things never sat right with me about Jefferson. How could he write so profoundly about liberty with one hand and whip his slaves with the other? (I didn’t like that Washington had slaves either, but at least his will provided for freeing his own slaves.) Why did Jefferson hold so much disdain for my beloved New York City? Why did he oppose a standing army? Though I had no answers, my admiration was only slightly diminished, since he wrote soaring words about pledging his life, fortune, and sacred honor for America. During my intense studies of the American Revolution over the past decade, Jefferson’s stock has plummeted. 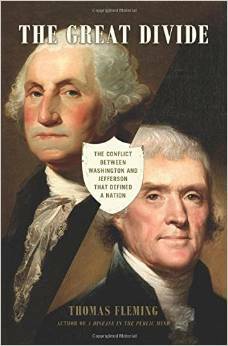 Many of the reasons are covered in Thomas Fleming’s book, The Great Divide: The Conflict Between Washington and Jefferson That Defined a Nation. In the months after her husband’s death, Martha Washington told several friends that the two worst days of her life were the day George died—and the day Thomas Jefferson came to Mount Vernon to offer his condolences. What could elicit such a strong reaction from the nation’s original first lady? Though history tends to cast the early years of America in a glow of camaraderie, there were, in fact, many conflicts among the Founding Fathers—none more important than the one between George Washington and Thomas Jefferson. The chief disagreement between these former friends centered on the highest, most original public office created by the Constitutional Convention—the presidency. They also argued violently about the nation’s foreign policy, the role of merchants and farmers in a republic, and the durability of the union itself. At the root of all these disagreements were two sharply different visions for the nation’s future. Many people are unaware that Washington refused to speak to Jefferson for the last five years of his life. Some of the reasons are that Jefferson often engaged in personal attacks on Washington, referring to him as “senile” and a “simpleton” because the commander-in-chief did not have academic standing or the passion for book learning held by the brilliant erudite from Monticello. He also called him a monarch (though Washington had ample opportunities to become a tyrant and never used them) and monocrat. These attacks were sometimes done directly, but often done indirectly via proxies such as scandalmongers James Callender and the Gazette‘s Philip Freneau. Martha Washington’s strong reaction came from the fact that the insincere and opportunistic Jefferson visited her in order to get her (and by implication George’s) endorsement for the upcoming election of 1800. One reason Jefferson is so complex is because he wrote prolifically, but often while advocating two sides of the same issue at the same time. He condemned slavery in some writings, but his Notes on the State of Virginia is obviously racist, as he likens blacks to orangutans. He also believed that if blacks were ever set free they should be shipped away to live in their own separate territory, because of their inferiority and inability to live with whites on an equal footing. Therefore, the phrase “life, liberty and the pursuit of happiness” was little more than a floating abstraction to Jefferson. One area where Jefferson was crystal clear was his lifelong support of the mob rule and bloodstained velvet of the French Revolution, about which he said he would rather have seen the entire world desolated than to see that revolution fail. His involvement in the Citizen Genet Affair outraged Washington. Although Jefferson tepidly came on board with the U.S. Constitution after its ratification, having been in Europe during the Constitutional Convention, as an anti-Federalist, he initially preferred thirteen “free and independent states.” Indeed, throughout his long life he always stated, “Virginia is my country.” His advocacy of populism and democracy was played out when he founded the Democratic-Republican Party. This was followed up a generation later by Andrew Jackson, who formed the Democratic Party. Jefferson-Jackson Day is now held as a Democratic Party fundraiser. Though often portrayed as a champion of laissez-faire capitalism, Jefferson’s vision of America was an agrarian, slave-based society, where cities, industry, banks, and stock markets were despised. His Notes on the State of Virginia confirms, “those who labor in the earth are the chosen people of God,” and we must “never wish to see our citizens occupied at a work-bench, or twirling a distaff.” He wanted manufacturing kept in Europe. In a letter to James Madison he effectively stated that any Virginian bank functionary who cooperated with the National bank should be tried for treason and executed. 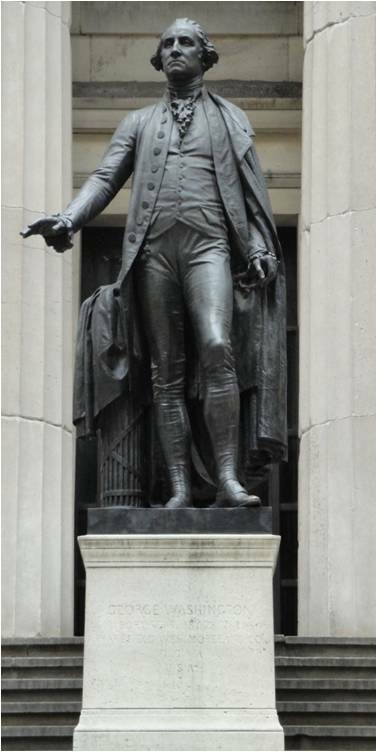 The outcome of Jefferson’s economic theory in practice was his Embargo Act of 1807, which ground international trade to a halt and was the precursor to America’s involvement in the War of 1812. It is no stretch to say that Jefferson would have taken the Confederacy side in the U.S. Civil War. That is yet another reason why I think the deification of Jefferson, by too many people who I admire, needs to be rethought. 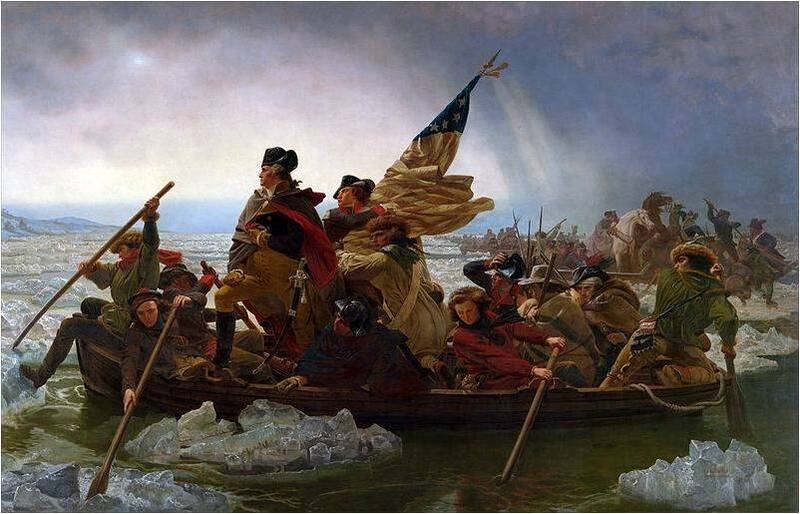 Under George Washington’s leadership and administration America first defeated Britain, and then set up a system to unite the states of America. His pro-business domestic policy serviced its war debt by upholding a financial system that promoted markets in sectors such as manufacturing, industry, and sound banking–all based on meritocracy–which allowed the entrepreneurial spirit to flourish. His 1793 Proclamation of Neutrality was a foreign policy based on American self-interest that kept them out of costly entanglements. For these reasons I place Washington far ahead of Jefferson in the pantheon of Founding Fathers. You make a convincing case for Washington’s greatness and Jefferson’s relative inferiority. 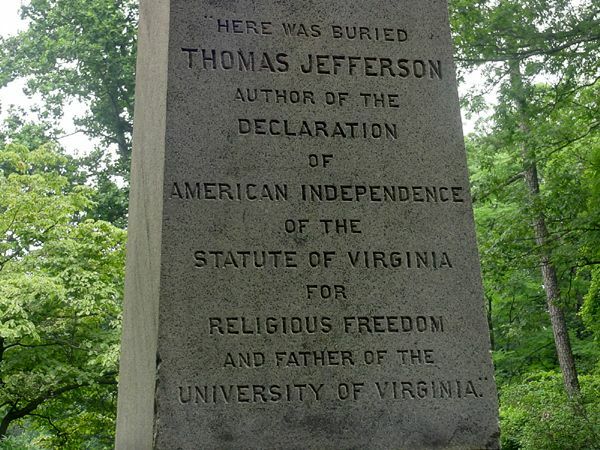 I would be less dismissive of Jefferson’s Deism in the Declaration however. Jefferson placed Locke’s rights, given by God, based on the primacy of consciousness, at the foundation of American Politics. What could possibly go wrong?!!!! If this is “muted” then “full cry” would have been something to behold.